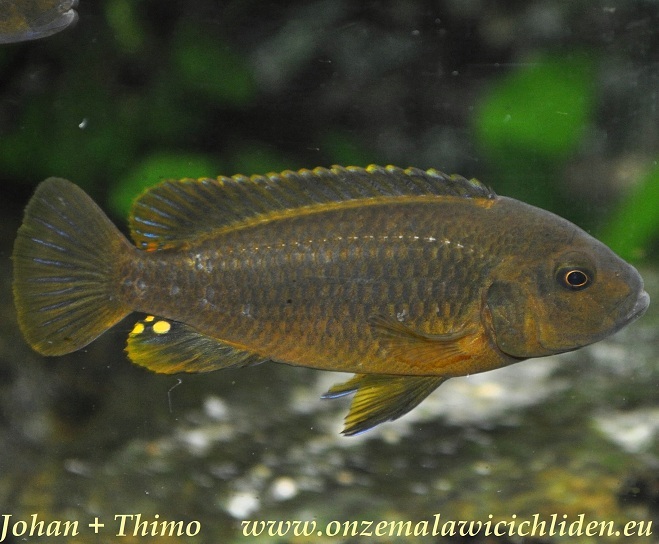 Iodotropheus sprengerae is a real rock inhabitant. 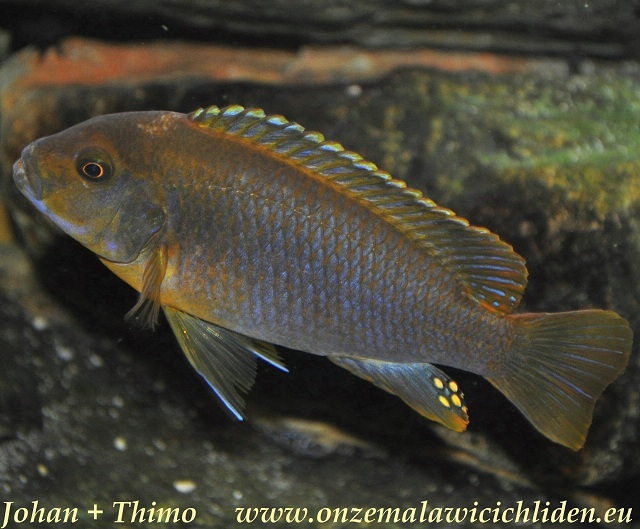 They are easy to keep and they go along with the other fish in an aquarium very fast. 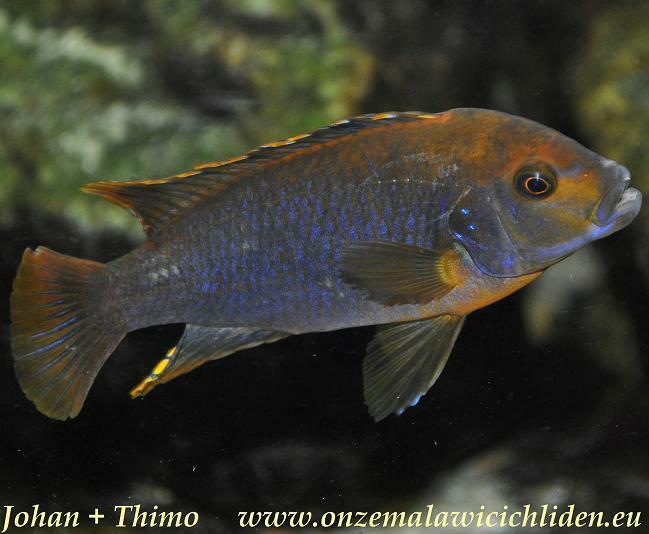 The males aren't territorial at all like a lot of other "mbuna" - they donn´t defend a permanent place or hole in an aquarium - most of the time they just swim around. 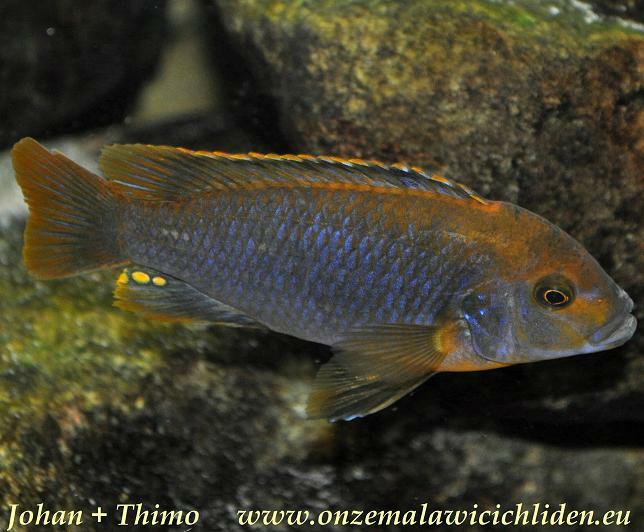 The males and females both have the same colour pattern, the females have a lesser colour intensity though. 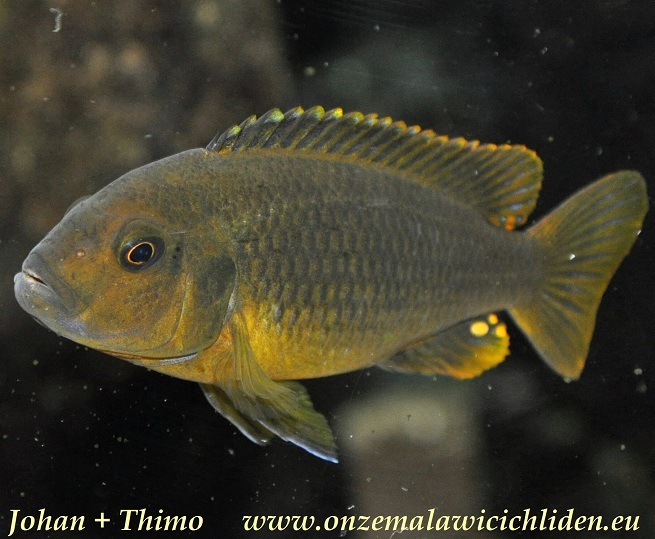 The maximal size this species reaches is about 10 to 12 cm. 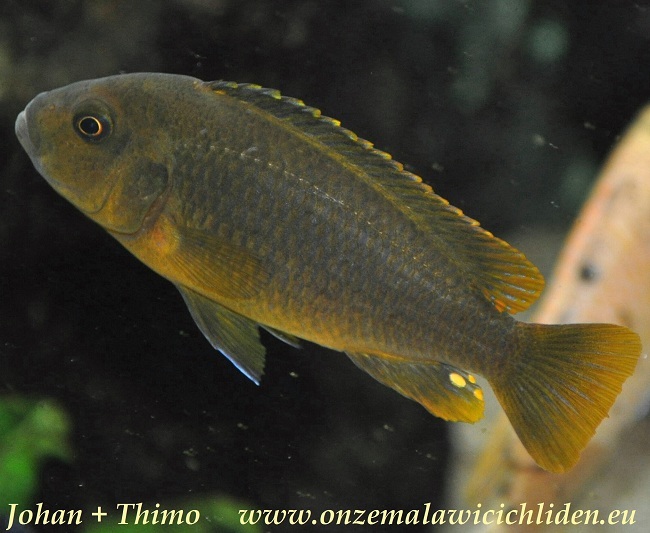 The male in my aquarium was about 10 cm, the females 8 cm. 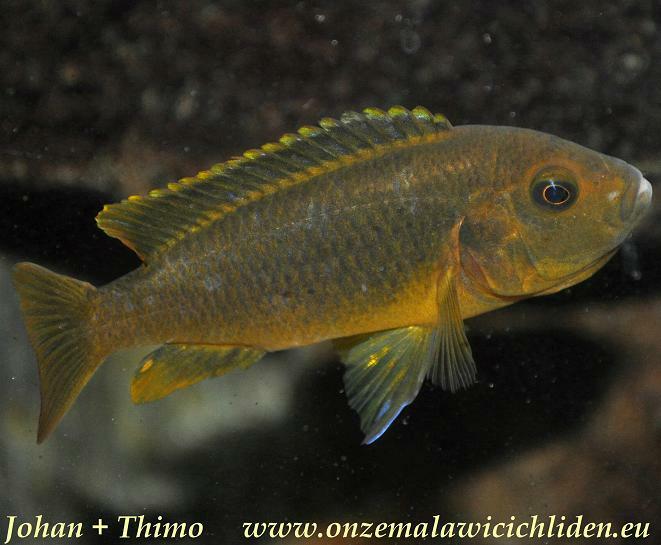 We haven´t got this species in our fishery resources for a while however we decided to start holding them again. 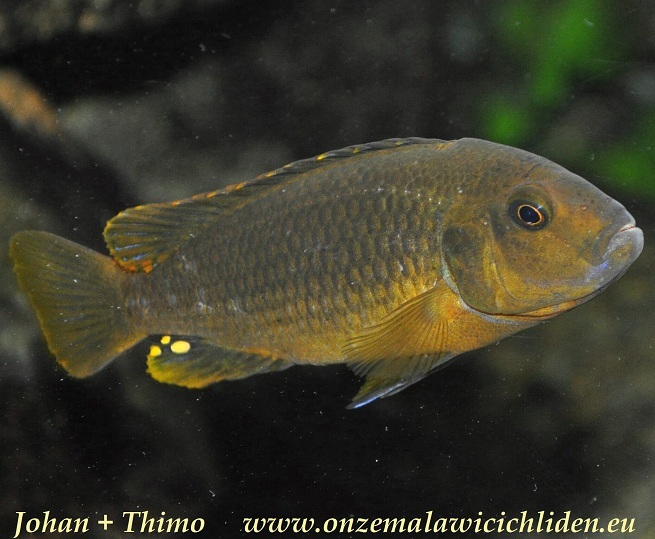 Since the middle of 2010 there´s swimming around a group of 1 male and 3 females in Thimo´s aquarium again. 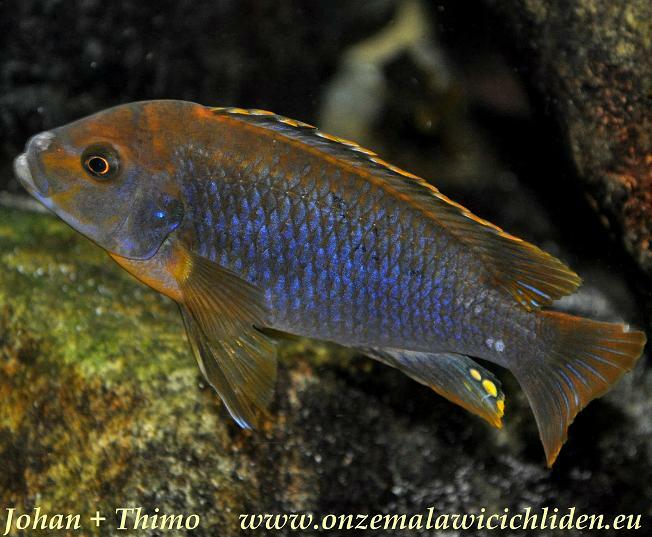 They have been spawning several times already in this aquarium and they appear to be very productive. They are very easy concerning food, they will eat anything offered. 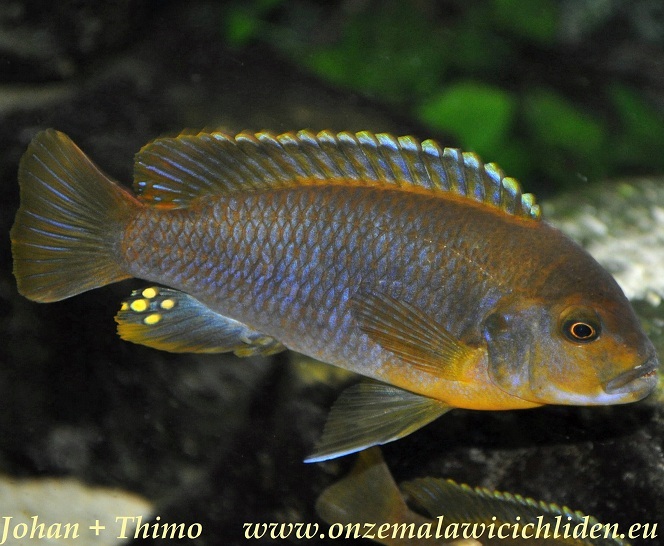 But, they mainly got food like spirulina or shrimp-peas mix and sometimes I gave them artemia`s.